Begin by learning Social ballroom, latin & swing dancing. We specialize in beginners with no partner needed in a great learning atmosphere! We have certified instructors that will teach singles or couples. Dancing is a great stress reliever, good way to exercise, meet people with common interests, have a wonderful time or learn something just for a special event! We are open M-F 2-10pm & Saturday by Appointment 10am-3pm. Let's learn about each other. 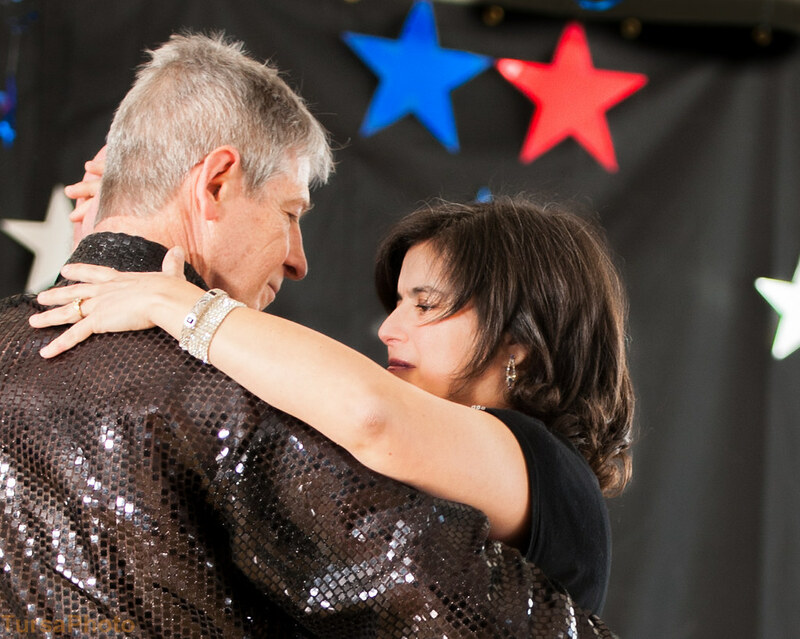 This is your chance to try ballroom dancing in a safe, fun atmosphere with a free lesson at our guest night party or at a time that's more convenient for you. Dance a little waltz and rumba as well as the super fun merengue! Take a chance to try us out! We have board certified instructors to assist you in getting started on your journey to becoming a good social dancer and having a lot of fun on the way. Join us for an introductory evening into the Magical World of Ballroom Dancing! When you come to our guest night, you will receive a free lesson and get to do some fun moves in the different dances. Enjoy a glass of wine or champagne while you relax after the lesson and watch some dance demonstrations to help you see what social dancing is all about. I have been introduced to an activity that involves having a good time, learning and making friends. Top it off with the fact that this is good for you too! TC Dance Club is a non competitive dance studio with a social country club atmosphere. I can't get enough of the themed parties among other things. Their knowledge of teaching ballroom and Latin dancing make TC Dance Club an educational, wonderful, warm, friendly and FUN place to be! If you want to learn to dance this is the place. Who doesn't want to learn to dance? Whether it's a wedding, going to dance halls or having the confidence to compete this is the place. The instructors Lyn, Richard, and John Henry are pros. They really love to dance and you will soon see their passion for dancing. I can't say enough about them. I have been a member for 3 years and can not say enough about the positive influence learning to social dance has had in all aspects of my life. Better health, more confidence, becoming more outgoing; but the friends I have made will continue to be the biggest influence this club has had in my life. Of course the parties and dressing up is also a lot of fun. You don't have to be a good dancer to start. They will get you there. Great place to learn dance. Have been taking lessons for the past two years. I enjoy the atmosphere and the instructors are very knowledgeable. In addition they offer Public Dances one Saturday a month. Good opportunity to socialize with other lovers of dance. Fill out the form for a free lesson! (Free lesson for first time students only.